Jurgen Klopp will be weighing his options against Chelsea. 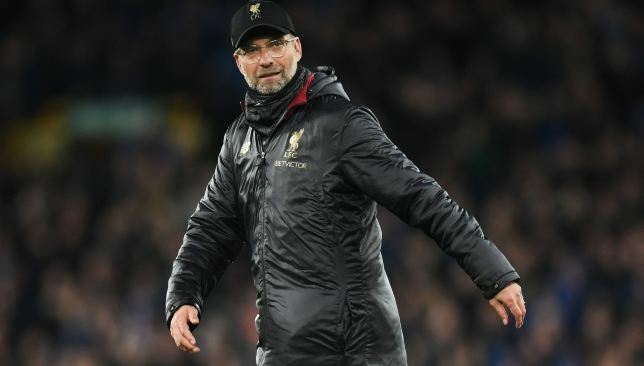 Liverpool face Chelsea on Sunday in a game that could define this season’s Premier League title race as they remain locked in a neck-and-neck battle with Man City. Chelsea are the toughest opponent Jurgen Klopp’s side have to face in their title run-in. Here’s a look at the tactics Klopp could use in this pivotal clash. Check out our analysis of Chelsea’s tactics here. Fabinho’s greatest asset is the way he can control the game in midfield, with his passing and vision. But in a game where Liverpool are likely to have less possession, the Brazilian may have a different role on Sunday. Someone who has been trusted at centre-back and fullback earlier in his career can be relied upon for his defensive ability. 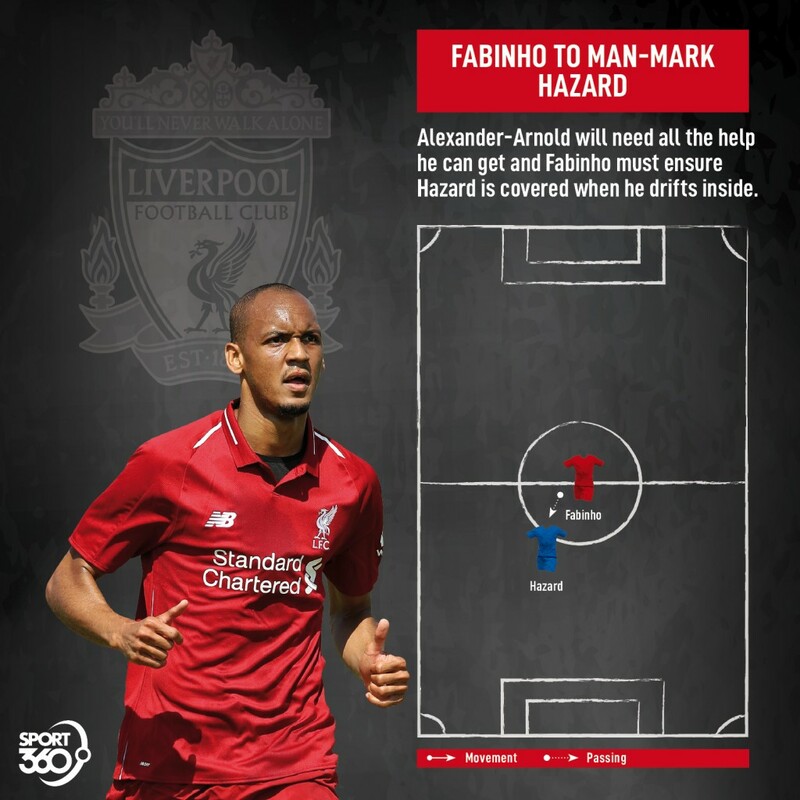 Perhaps Klopp could ask Fabinho to put those skills to use against Eden Hazard? Hazard has struggled to shrug off the attentions of a man-marker before, most famously on two separate occasions against Manchester United, so Klopp would know it’s a strategy that works. Stopping Hazard is the key to stopping Chelsea given the Belgian’s current form. It would be a tough task for Fabinho, but potentially, a match-winning one. The other key to knocking Chelsea off their stride is to limit the influence of midfielder Jorginho. Plenty of teams this season have prevented the Blues from being at their best by paying close attention to the Italian as he tries to dictate the course of the game. 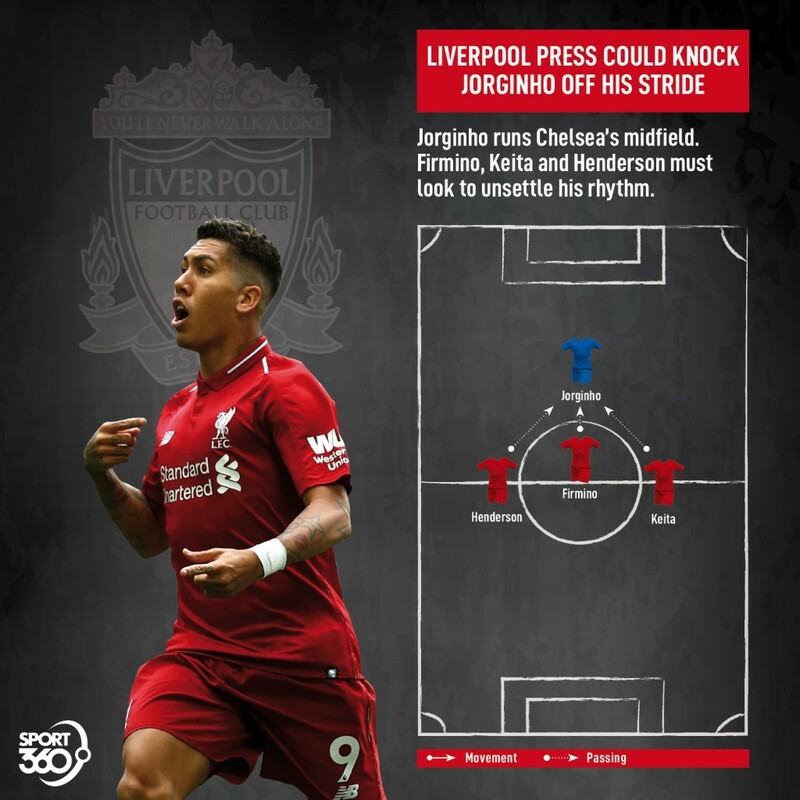 Roberto Firmino usually leads the Liverpool press with aplomb, and when he isn’t haranguing Chelsea’s defenders he’ll no doubt be looking to put Jorginho under pressure. With some help from Liverpool’s midfielders – Jordan Henderson’s advanced role will bring him in close proximity to his Chelsea counterpart – Firmino could help stop the Blues’ attacks at source. Between that, and paying close attention to Hazard, Liverpool could have a winning formula defensively – while their attackers run riot when they get the chance. Maurizio Sarri will be plotting Liverpool's downfall. Chelsea travel to Liverpool on Sunday with a chance to pick up crucial points in the Premier League‘s top four race – as well as having a huge influence in the destination of this season’s title, as they could derail their rivals’ trophy hopes. 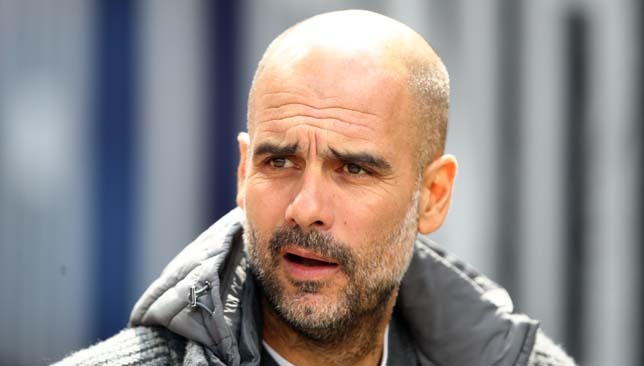 Manager Maurizio Sarri will be looking to keep Liverpool’s famous counter-attack at bay while maximising his side’s attacking prowess in this pivotal game. Here’s a look at the tactics that could help the Italian achieve that goal. Check out our tactical preview of Liverpool’s gameplan as well. Chelsea have faced plenty of difficulty this season against exactly the sort of tactics Liverpool will employ: high-pressing, counter-attacking teams have prospered by soaking up the pressure of the Blues’ possession before striking quickly when the opportunity arises. 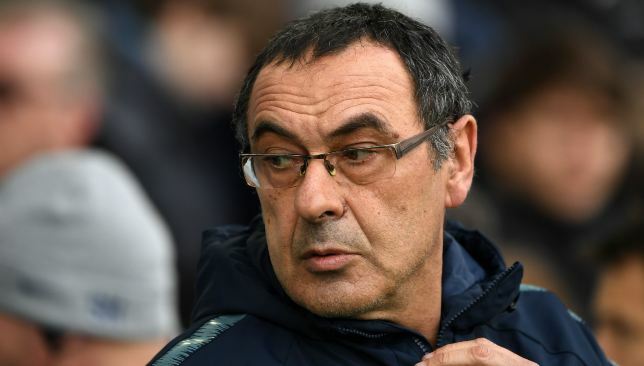 Sarri won’t change his fundamental system in a game of this magnitude, but within the 4-3-3, possession-heavy set-up, there are tweaks he can make to have Chelsea prepared for Liverpool’s counter-attack. 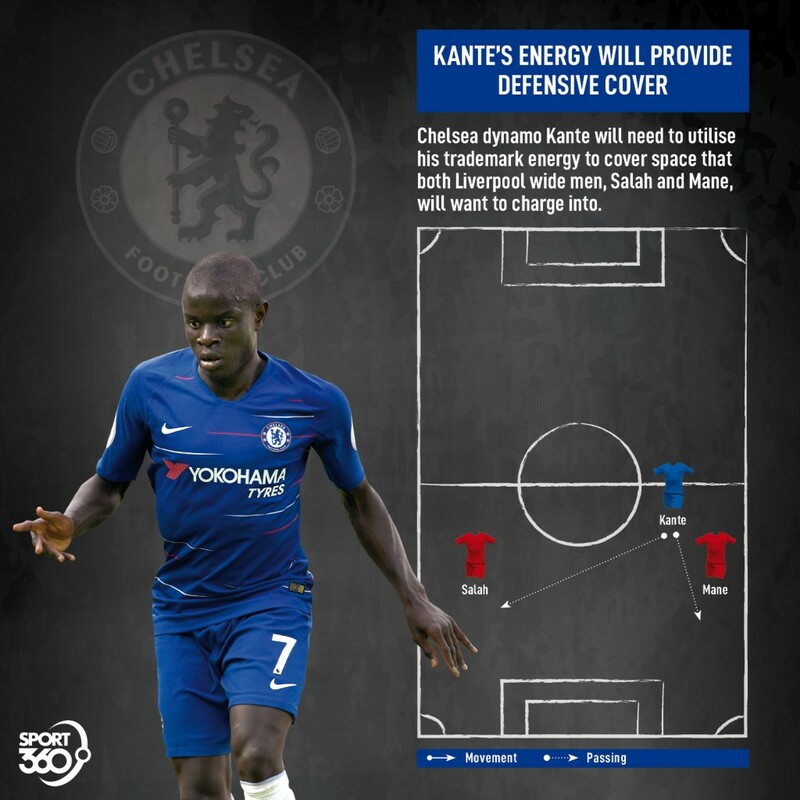 N’Golo Kante’s ability to cover ground and mop up defensively will be crucial. Though he plays on the right of Sarri’s three-man midfield, expect him to provide cover against Mohamed Salah down Chelsea’s left whenever he’s needed – and of course, he’ll have his hands full with Sadio Mane as well. Kante is used to putting in match-winning performances in big games – this could be another. Allowing Eden Hazard the freedom to roam within Chelsea’s system has been the strategy that’s brought both the player and the team success when executed well this season. 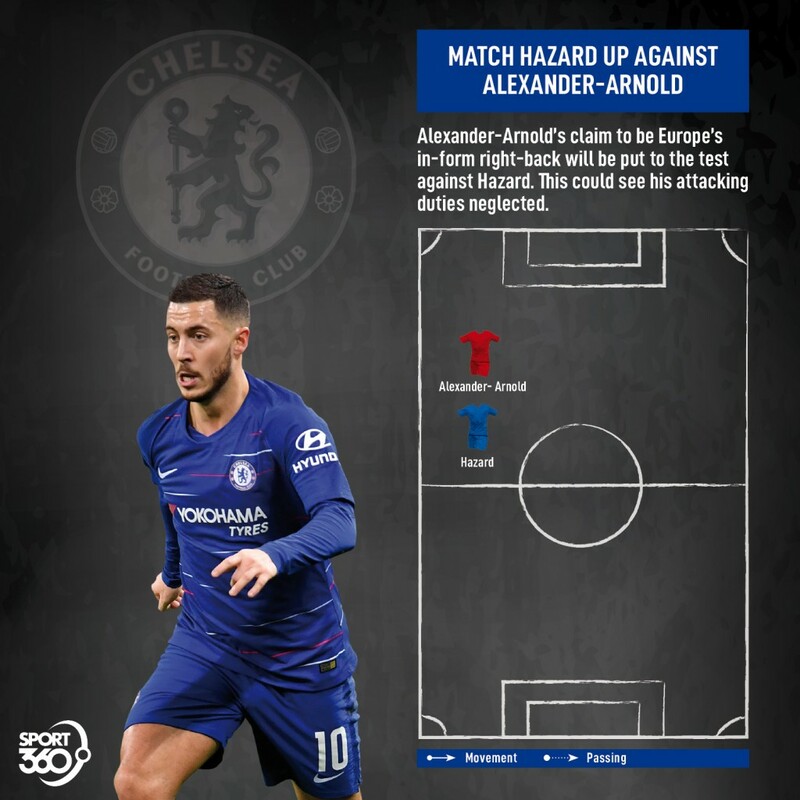 Though there’s no reason for Sarri to change that, perhaps both he and Hazard will spot an opportunity in this particular game. Trent Alexander-Arnold has had an excellent season, but he also hasn’t had to face a player of Hazard’s quality too often. And there have been times in the past where his defensive ability has come under scrutiny in match-ups like this. Though Hazard loves to drift all across the pitch, looking to isolate himself against the Liverpool right-back might give him the best chance to prosper in this game. Liverpool will clog up the middle in order to reduce his effectiveness. Stretching them by targeting Alexander-Arnold would be the best way to counter.